We are living in the world where online payment modes are convenient than cash modes. Cash transactions are not more convenient as there is a risk of theft if it is of the big amount so there are some best payment apps that may help you to transfer money to anyone within a blink of an eye. Nowadays online payment apps are one of the easy and secure ways of doing money related transactions. It might be payments for business or shopping, you can do payments on one click with these apps. Cash transactions are outdated now so adopting online payment modes always give you a hassle-free transaction. Online payments are transparent, and you can send money instantly; it may be for restaurant bills, electricity bills or phone bills. You can do all kinds of payment by using these mobile payment apps. You can make payments by linking the bank account or debit or credit cards to the payment apps. You can even store the amount in your app’s wallet for later use. Here in this article, I will inform you about the convenient modes of the transaction through payment apps that are useful for you to make payments anywhere. 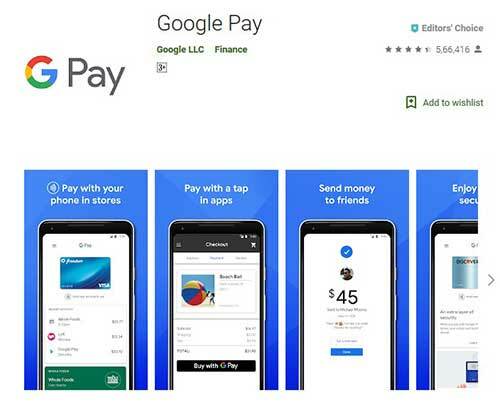 Google pay (GPay) is one of simple and best payment apps that pay for your bills and fulfill all your payment needs. Tez is now known as GPay, and if you upgrade the Tez, no any transactions will be affected by this upgradation. Google pay is one of secured and hassles free payment app with some fantastic features. You can pay and receive money directly from your existing bank account that may assure you the safety of your transaction. You can pay the amount even to those who are not connected on GPay. You can pay your day-to-day bills like electricity, gas, telephone, water, DTH and much more by using GPay. GPay is accepted on all the online stores. It gives you numerous layers of security from the bank and Google that may help you to prevent hacking and detect fraud. You can transfer money to anyone by using Tez mode without sharing your personal details. You will get rewards on every eligible transaction. You can even pay bills at grocery shops by using GPay by keeping your details private. You cannot use a credit card to send money to your friends and family. Functions are divided between separate apps. Online payment partners and cases are limited. No any charges but doesn’t allow transactions with a credit card. PayPal is simple and easy to use app that pay for goods and services at local shops. Retailers shops are decidedly less that accept the payments through PayPal. This app is the mother of all the mobile payment apps in present times. You can send money, make online payments or even can set merchant account with PayPal. You can do fast money transfer to friends and family or move funds from one account to another. Provide a high level of security to all your transactions. PayPal has accepted at 19 million online stores. PayPal gives purchase protection that makes you eligible for refunds of the purchase price with shipping charges as well. It has limitations to send, receive and withdrawal of money from PayPal account. Even though the transfer of money is fast but it takes time to access to those funds. It doesn’t provide you with automatic logout. The bank account cannot be added from mobile app. Cost of each payment received through PayPal is 2.9% plus the US $0.30 for sales within the US. For international transactions, you may have to pay a fee of 4.4% plus a fixed fee based on the country. Money transfer to friends and family can be done for FREE. Even though PayPal owns it, it is dissimilar than PayPal. Venmo is specially designed to send money to friends. Venmo is a fast and fun mobile payment app that sends & receives money. You can even use this app for online shopping stores. Precise and robust execution makes Venmo the best payment app in the list. You can send money to friends very quickly by directly linking your payment method. 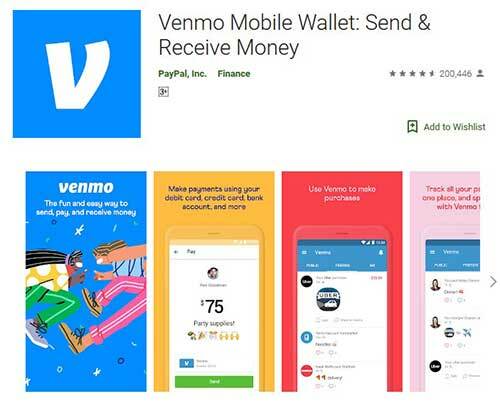 You can apply for Venmo card, and Venmo balance can be used for shopping, MasterCard will be accepted In U.S.
You can add emojis to the payment and comment or like stories of the friends. You can buy from your favorite stores. Venmo can easily track your finances. Secured way of payments and account details will be protected. An aggressive combination with Facebook. It charges 3% on transactions using the credit card and also charged 25 cents to instant transfer from your Venmo balance to the bank account. Person to Person Transfer facility. It is Free to send money if you linked a debit card of bank account. Venmo has 4.5 stars out of 5. Square cash is the app that helps you to pay your friends instantly and cash out to the bank for free. You can buy a coffee with individual cash card by using your new money wallet. You can use fingerprints or passcode to protect your payment. You can make first payment within a blink of an eye. You can send money free, and within 7-days you get mail for a free debit card. It has a smart apple watch integration and beautiful design. Square Cash doesn’t support Credit Cards. It has very less spending limit if compare with its competitors. For merchants, it costs processing fees of 2.75% for swiped transactions and 3.15% plus $ 0.15 for manually entered transactions. Free to receive & send money from bank account. It has 3.5 Stars out of 5. 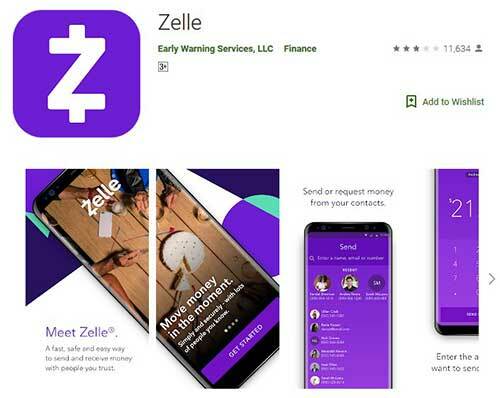 If you want to send money to persons in the US, then Zelle is the simple and easy way for this purpose. Zelle works within your trusted bank app so that you can send money to the people you know. Zelle has an easy and simple interface to use. Email and contact detail is the only requirements to do a transaction; no need to share your confidential information. You can even send money to those who are not using Zelle. You can schedule the transactions that are to be done in the future. Safety measures should be improved because its quick payment action may attract criminals as per experts. You cannot send less than $ 1 through this service. Transactions with credit card charge 3%. It Has 4 Stars out of 5. Online payments apps make your life more comfortable than ever before. Online payment apps are secured, and an easy way to send and receive money from anyone anywhere. You should know the best payment apps that may give the experience of hassle free money transactions. However, these apps may charge fees on some transaction, but still, they are best as they decrease the pain of carrying numerous credit and debit cards. These apps are like mini-banks in your pocket that helps you in day-to-day transactions. Don’t forget to share your experience of using these payment apps and tell us how useful they are to you. Stay connected with us for information.